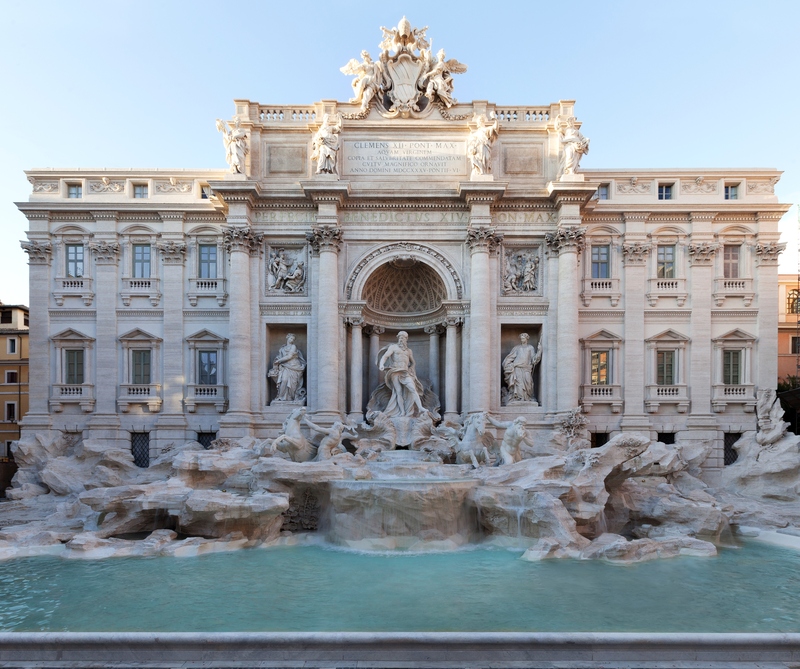 After 17 months of restoration work and two months ahead of its scheduled completion, the famed Trevi Fountain in Rome has been restored to its original magnificence thanks to Fendi, who funded the project. According to Yahoo!, the restoration reportedly cost approximately $2.2 million. 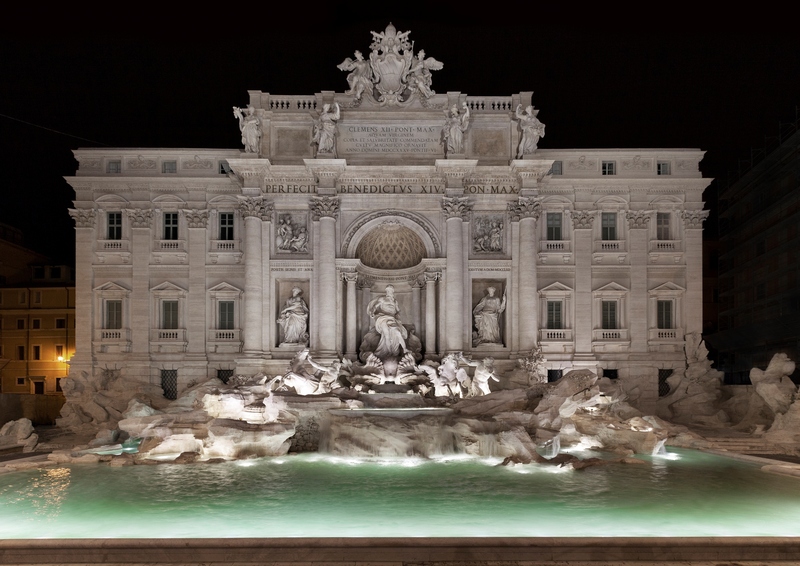 Fendi announced they would be restoring the fountain in January 2013 as part of their “Fendi for Fountains” project, an effort to preserve Rome’s historical monuments and attractions. The fountain was commissioned by Pope Clement XII in 1730 and was last restored 23 years ago. It was later made famous in Fellini’s La Dolce Vita in 1960, when Marcello Mastroianni and Anita Ekberg waded through the fountain. “We are proud of this private-public cooperation and of giving back the Trevi Fountain to our city, Rome, and to the tourists of the world, after the Complex of the Four Fountains, in record time and in all its splendour,” said Pietro Beccari, chairman and CEO of Fendi. “Fendi is Rome, and Rome is Fendi, and this is why in 2016 we will keep sustaining our city with the Fendi For Fountains project, in support of other four fountains,” states Pietro Beccari, chairman and CEO of Fendi. The other three fountains planned for restoration are the Gianicolo, Mosè del Ninfeo del Pincio, and del Peschiera Fountains. Rome’s incredible monuments have long been in peril. “Rome is on the verge of collapse. It is unacceptable that a major city, which calls itself developed, can find itself in such a state of decay,” Giancarlo Cremonesi, the city’s Chamber of Commerce president, told Reuters in July. “The prayers of the pope will not be enough. Here we need a miracle from the lord above for Rome to emerge in good shape.” But in fact, it’s some of Italy’s biggest fashion houses that are restoring Italy. In addition to Fendi’s commitment to restoring Rome, Bulgari has begun to fix up the Spanish steps, Renzo Rosso is restoring the 423-year-old Rialto Bridge in Venice, and Tod’s is backing a whopping $35 million restoration of the Colosseum. Bravo!